Bring style to your wall space. 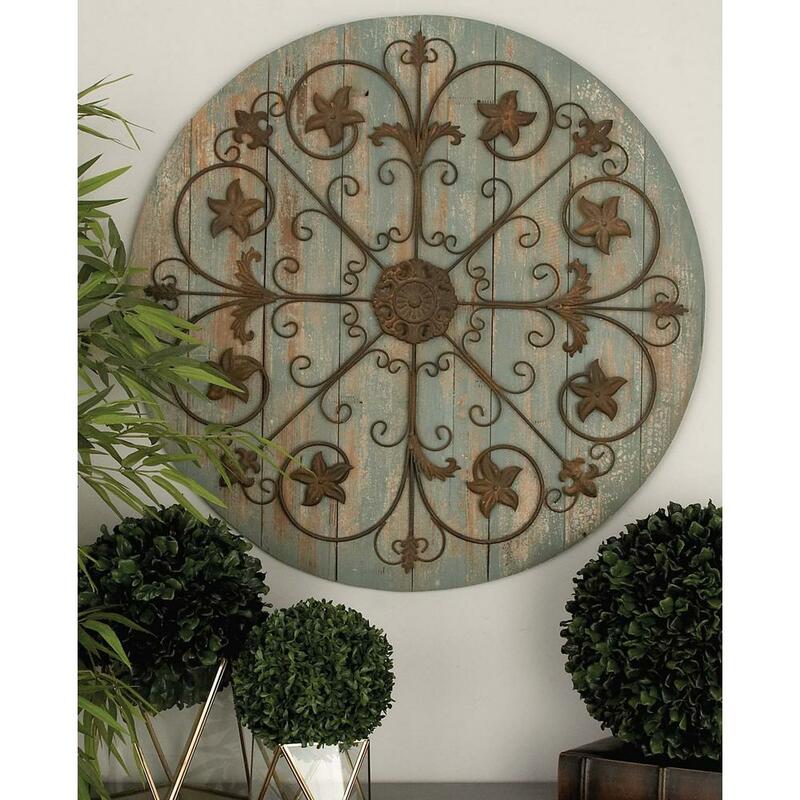 This gorgeous Shabby White Medallion wall decor features a metal base with a distressed white finish. 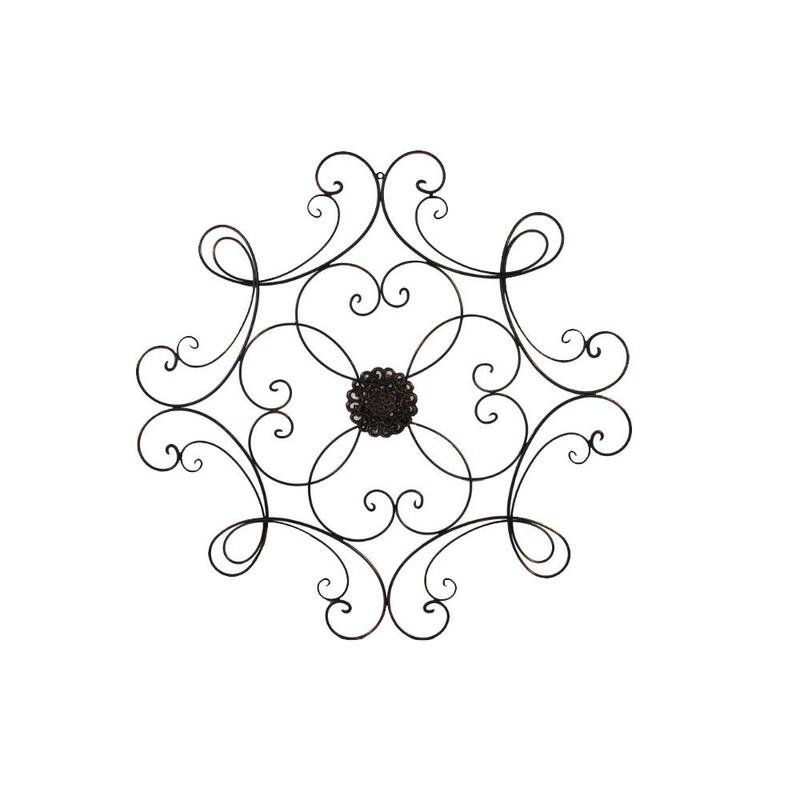 Its design features traditional scroll and floral accents for an elegant look. 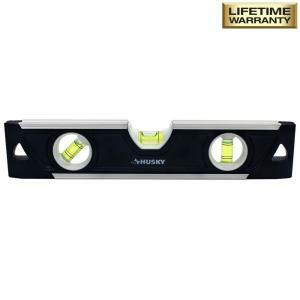 Place it in any room for instant personality and charm. 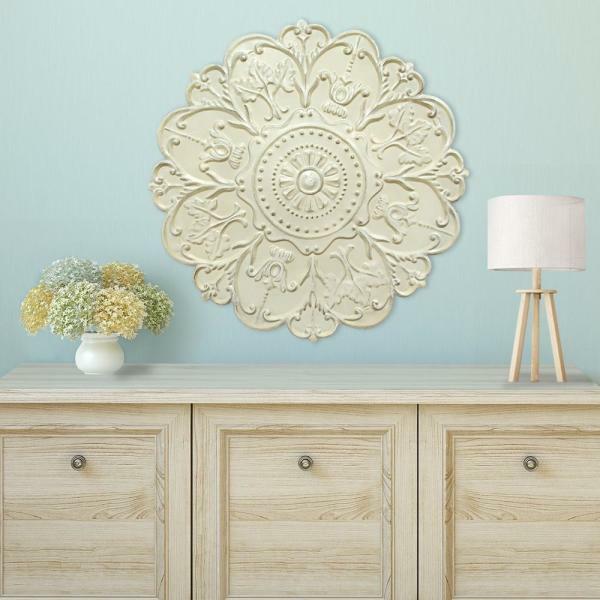 This wall Decor combines a visually stunning combinationThis wall Decor combines a visually stunning combination of elegant style and vintage design. 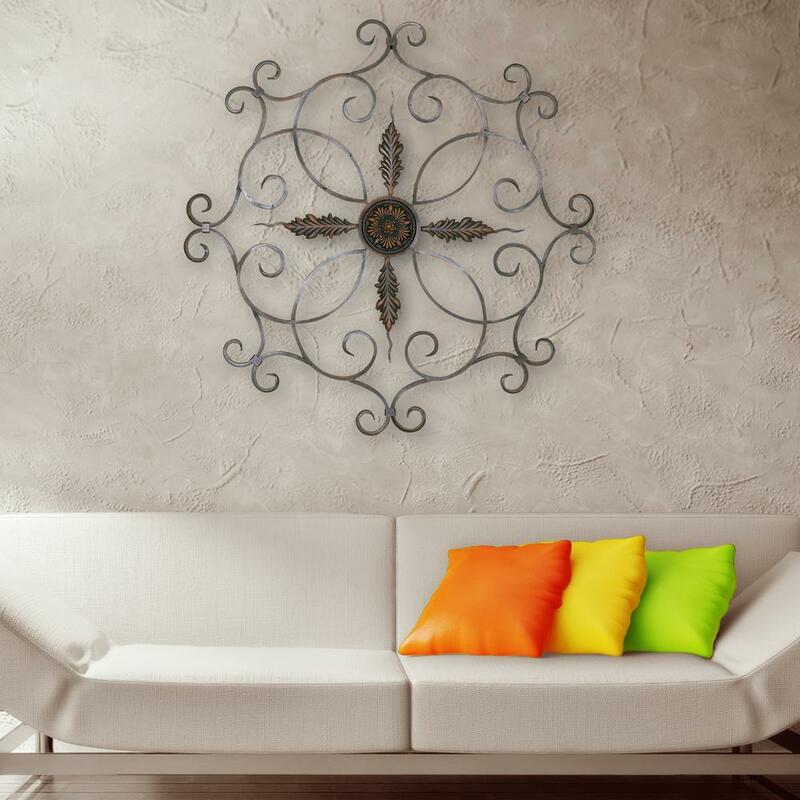 The lovely wall art piece is made of strong metal and features beautiful scrolled iron. 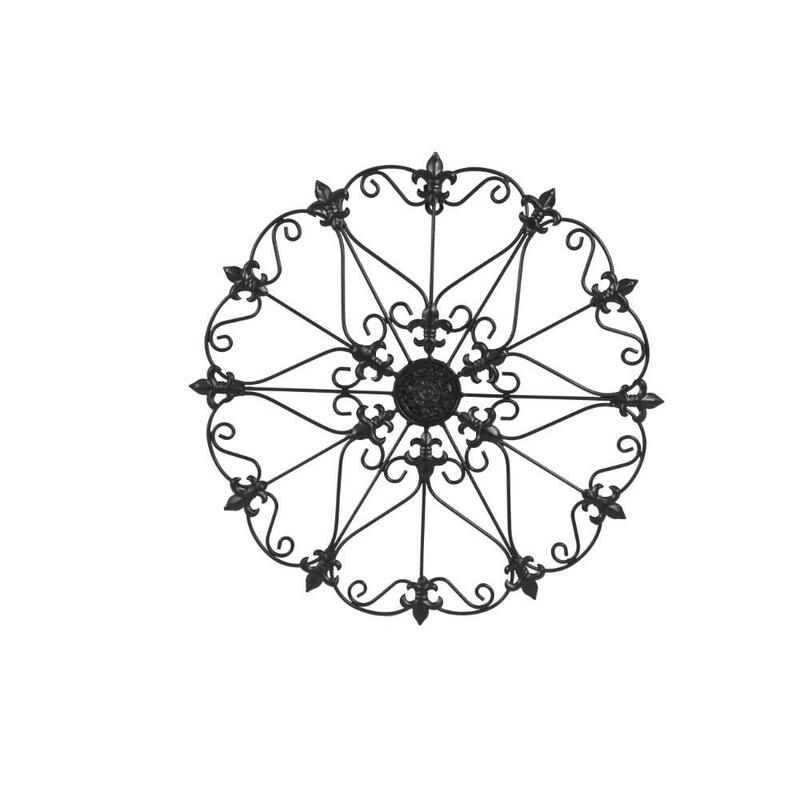 Beautifully detailed medallion sits in the center of this eye catching piece.